So it is raining, which is good for the farmers and topping up your pool. However, did you know if your pool is too full, it may stop your skimmer box from working? It is recommended you have your water level between one-third and one-half up the skimmer box opening. If the level it higher is may slow or even stop debris being pulled into the skimmer box through the plate or valve , meaning floating debris will be left on your pool water surface. Please ensure you check your water level regularly, even during winter, and drain or backwash to ensure your pool surface is bug and dirt free. HOW TO SAFE YOUR POOL? Does it work against CRYPTOSPORIDIUM and PSEUDOMONAS AERUGINOSA? UV-C light is a very powerful germicide. It deactivates and renders harmless waterborne pathogens that are completely unaffected by chlorine based disinfectants. Examples of dangerous pathogens (viruses and cysts) neutralized by UV-C light are Cryptosporidium parvum and Giardia lamblia; chlorine will not affect these. UV-C is effective against all microorganisms for example also the Pseudomonas, papillomavirus and e-coli. UV-C cannot, however, be used on its own. This is because after the pool water has been subjected to treatment with UV-C, it is disinfected but not disinfectant. A secondary disinfectant must be added to the water to ensure that the water actually in the pool is disinfectant as well as disinfected. The most commonly used secondary disinfectants are chlorine based chemicals. Is the smell of pool water changes by using UV? Yes, the smell of pool water changes. This is because of the lack of chloramines in the pool, UV-C kills destroys the chloramines. As a by-product of the disinfection process (as mentioned in the question above), chlorine combines with bathers’ body fluids in the pool water to form chloramines. Chloramines are unpleasant substances that cause eye, skin and nose irritation, breathing difficulties in young children, an unpleasant swimming pool “chlorine” smell and last but not least, damage to the fabric of the pool such as tiles, grouts, handrails and other fittings. UV light is destroys chloramines, thus reducing or even practically eliminating the undesirable side effects mentioned above of the use of chlorine based disinfectants. VGE’s UV-C ranges offer the solutions mentioned above. Because of the UV-C which disinfects the water, you don’t need chlorine to disinfect the water, you only need chlorines to make it disinfectant. 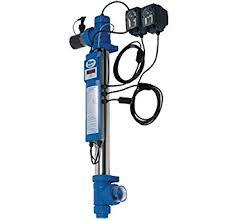 This makes sure you are able to decrease the amount of chlorine to a max of 80% (depending on de type of pool). Chlorine increases the PH value, Less chlorine means less increase of PH. This means you also need less PH or another acid. Less acid makes sure the bicarbonate level is longer stable and needs less corrections. When it’s a saltwaterpool, less Chlorine means less salt. You also need less shock. 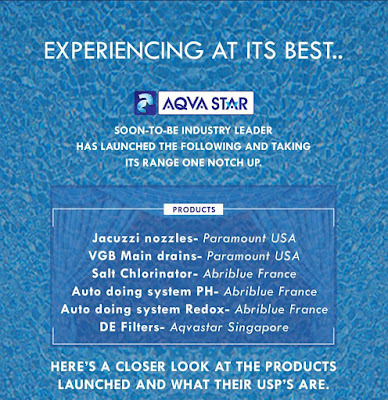 UV-C kills the bad chloramines, this means you’ll need to do less maintenance to the pool due to chloramines. This decreases the maintenance costs. What are the microorganisms it tackled by this UV? Uv-C is effective against all microorganisms. Is any microorganisms survive after this UV treatment. No, when the right amount of UV and wave-length is used, no micro-organism will survive. The swimmers will be protected against diseases caused by micro-organism who are resistant of chlorine. The right UV-unit depends on different factors. For example the flow, T10, total water volume, temperature and amount of people swimming in it. Can you please send me the T10 and water volume (95%? Normal pool water)? Then we’re able to calculate the right equipment for you. Is there any ratio allowed to reduce the size of UV to be economical? 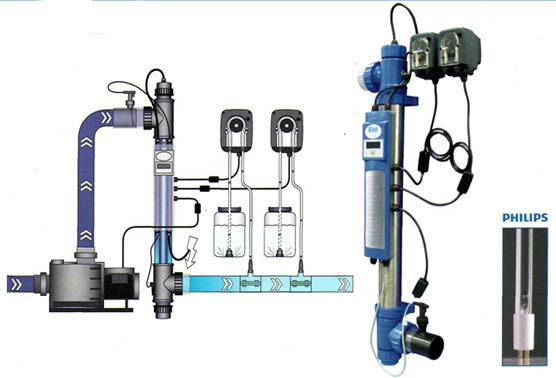 The economical comparison of the various solutions depends very much on pool size, design and usage. Please also see my answers above for the economic benefits and UV-treatment. You can reduce the amount of UV, for example when the pool is for a while not in use. 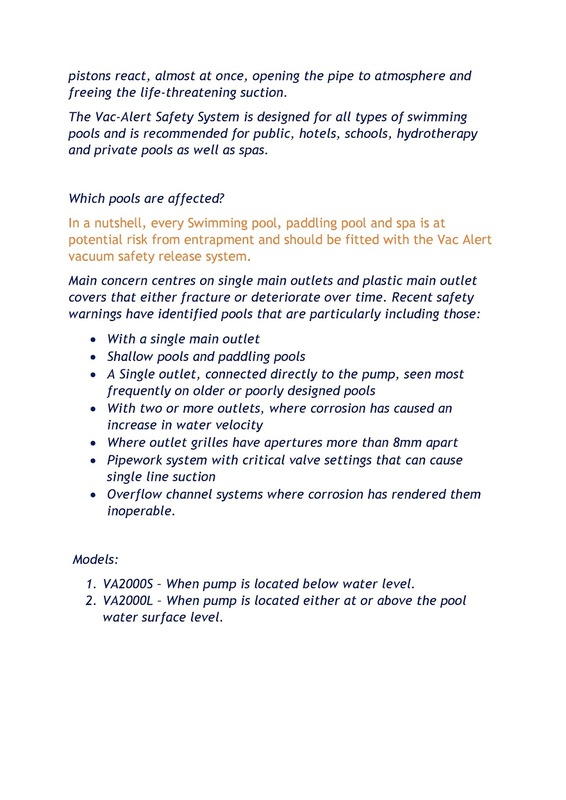 The Blue Lagoon UV-C Pool Manager has an integrated control panel. With this panel, you can adjust the running hours of the pool pump, and the dose rate of the dosing pumps in seconds, your swimming pool water will be disinfected efficiently and safely, and the quality of your water will remain excellent. The Blue Lagoon UV-C Pool Manager will ensure that your pool water is clean, fresh and clear in an efficient and environmentally-friendly manner. The UV-C radiation neutralizes bacteria, viruses and other primitive organisms and stops them from multiplying. This can reduce the concentration of chlorine up to 50 - 80%! · Automatic setting for main voltage. · Automatic detection of main voltage frequency 50 or 60Hz. · Integrated clock in 24-hour format. · Integrated battery for ½ year storage of time settings for integrated real time clock. · Max. Flow 25000 L/h, Max. Pressure – 2bar, Connection – 63/50mm Length of device – 100cm. · Ensures fresh, clean and clear water. · Disinfects water efficiency and safety. · Bound chlorine is broken down by UV-C light. 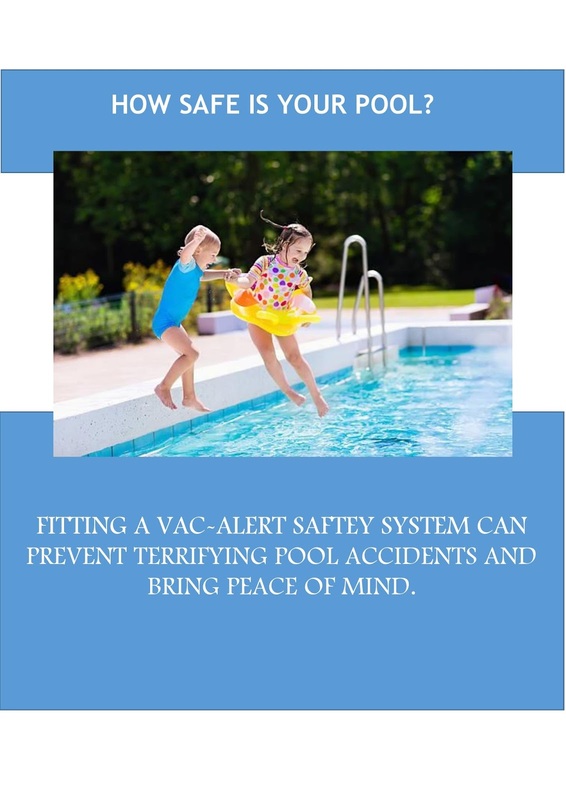 · Protects your pool from germs. · Keeps the formation of mould, bacteria and algae under control. · More environmentally – friendly than traditional methods. · Built-in electronic pre-sector to ensure a smooth power supply. 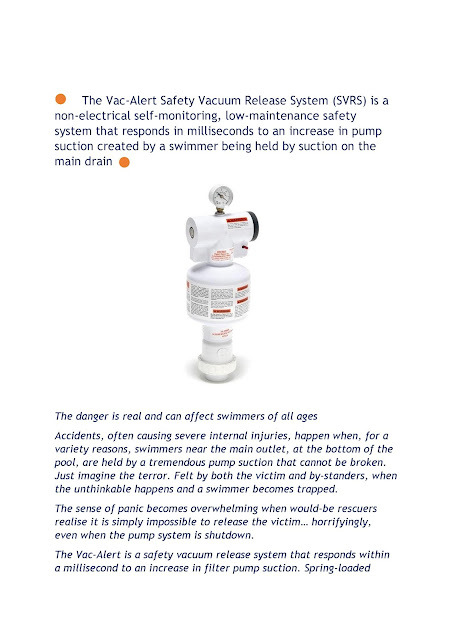 · Has a flow switch that switches the machine off as soon as no water flow-through is detected. · Up to 35% more UV-C yield as a result of reflection. · Includes a Philips UV-C lamp. · Integrated adjustable time meter for UV-C lamp. · Digital indication when the lamp needs replacing. · Integrated adjustable control for a swimming pool pump. · Integrated adjustable control for two dosing pumps. · Including two dosing pumps. · 316L stainless steel housing. · Easy installation and maintenance. · 1 year guarantee with respect to manufacturing faults. · Time meter with 4-digit display. · Internal memory storing the latest counter position when the UV lamp is switched off. · Adjustable UV lamp replacement time with alarm function. · Mains voltage control for 2 dosing pumps. · Individually adjustable dosing volume for each dosing pump, to be set in seconds. · Integrated into the 24-hour cycle together with the swimming pool pump. · Anti-cyclic setting with ½ hour delay with regard to each other in order to prevent undesired mixing of liquids. · Can be used with dosing pumps up to 60w. · Switch on and off times can be adjusted per 24—hour period. · Time settings are stored for ½ year after the system has been switched off. · Combined with a flow switch, automatic switch-off if the water pressure drops, thereby preventing the swimming pool pump from overheating. · Can be used with pumps up to 3KW. Combined with a flow switch, a switch-on delay to protect the UV lamp the switch-on voltage peaks of the swimming pool pump. WHY IS MY FILTER PRESSURE TOO HIGH ?